New Coupon! $1/2 Jimmy Dean Fresh Sausage Products & Deals! 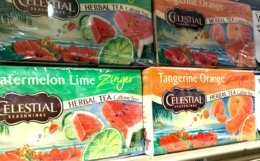 New $1/2 Celestial Seasonings Bagged Tea Coupon & Deals! 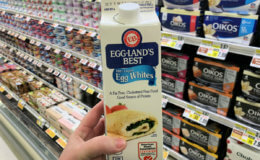 New $0.75/1 Bridgford Frozen Bread Coupon + Deals at ShopRite, Walmart & More! 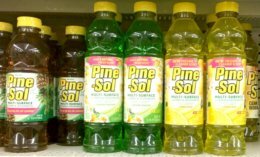 New $0.75/1 Pine-Sol Multi-Purpose Cleaner Coupon & Deals at ShopRite, Stop & Shop & More! 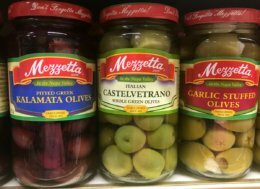 New $1/1 Mezzetta Olives Coupon & Deals! Back Again! 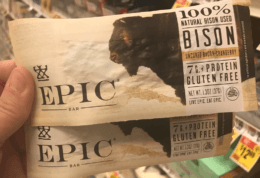 $0.50/1 EPIC Bar Coupon – $0.79 at ShopRite & More! 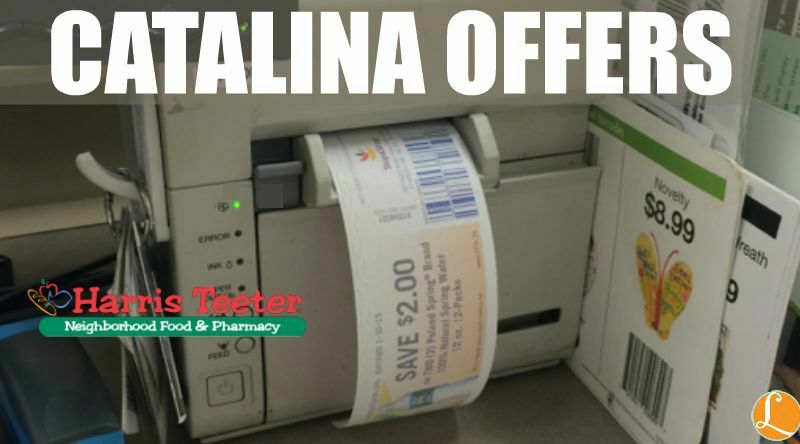 Catalina Coupons are coupons that print out of the Catalina machine at participating stores. These machines are just like the one pictured above and are usually located next to the register. These are sometimes referred to as “Your Bucks” Catalina Deals and are deals that require a certain dollar amount or quantity of products to be purchased. Once you have met the qualifications, a Catalina will print for a certain amount off your next purchase. Usually this purchase can be made for anything in the store, however, some promotions require they be used toward a specific brand or product. We accept coupons that have not passed their expiration date for use; we cannot accept any expired coupons or coupons not displaying an expiration date. We accept only one manufacturer coupon per purchased item. We do not accept coupons on items not purchased. Coupons must be presented at time of purchase; we cannot return money for coupons not used. 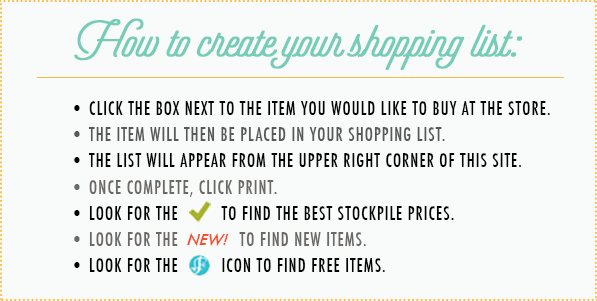 Coupons presented and items purchased must match exactly; size, variety, flavor, etc. We uphold any purchase stipulations set forth by product manufacturer. We accept coupons for items only of equal or more value; we do not give cash back. Sales tax is paid by customer at full retail. We do not accept photo copied coupons of any type. We accept 20 double coupons per day per customer/household with VIC card; all others redeemed at face value. No orders may be separated that would allow the 20 coupon limit or any other coupon limits to be exceeded. We double manufacturer’s coupons up to face value of $0.99; with total amount not to exceed $1.98 or entire retail of item; whichever is less. We double up to three identical items with manufacturer coupon; additional coupons for like item will be honored at face value. Like items include all flavors. Coupons saved to your mobile device cannot be accepted. With the purchase of two like manufacturer’s products, we accept two internet coupons, per store, per day. We do not accept internet coupons that do not appear to be originals or that will not scan. The Management Team in each store determines who their competitor is. We gladly accept local competitors’ paper manufacturer coupons for cents/money off of products. We also redeem circular, direct-mail, and register checkout coupons for money off of the total order. There is a limit of one per customer per day. We do not accept any internet coupons from other retailers. Rainchecks never expire and are accepted at any Harris Teeter store. We do not issue rainchecks for coupon items that may be out of stock or for “while supplies last” items. We reserve the right to limit raincheck quantities based on product availability and advertised limits. Rainchecks can be written for a limit of three or three “deals” unless otherwise stated in the ad. For deals where the pricing may vary, the customer must pay the highest of the amounts. 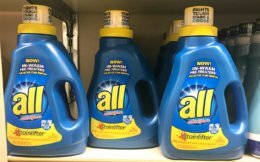 We will honor five “scan guarantees” per customer; all other pricing inadequacies will result in the difference between the shelf tag and the actual price of the item being refunded. Harris Teeter reserves the right to limit quantities in coupon usage, as well as products and to amend our policies as we deem appropriate. 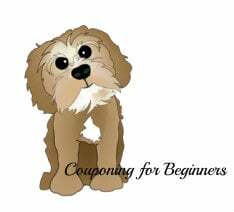 If you are new to couponing, check out the How To Use Coupons Beginners Section. 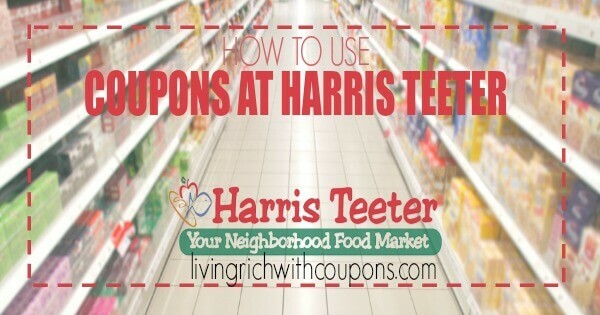 Please note: Living Rich With Coupons is not associated with Harris Teeter. The policy stated on the Harris Teeter official page is the correct and current policy and should be followed. This page is for information purposes only and while we try to keep it as update to date as possible, there are times when Harris Teeter has made small changes to the policy that we have not adjusted here. Harris Teeter operates over 200 stores in North Carolina, South Carolina, Virginia, Georgia, Tennessee, Florida, Maryland, Delaware, and the District of Columbia. Automatic savings on specially marked VIC items you’ll find throughout the store and in our weekly ad. A display of your VIC savings on the bottom of your register receipt. 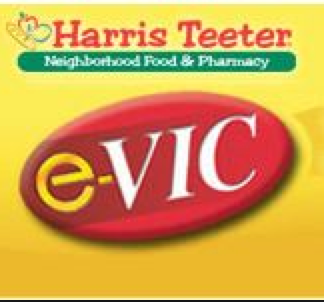 Once you have signed up for your Harris Teeter VIC Card you will be able to sign up for e-VIC benefits. This service notifies you when items you regularly buy are on sale! 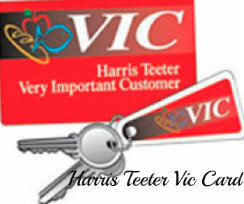 Also you will be able to link valuable manufacturer coupons directly to your VIC card. Look for great new offers in your Wednesday, Friday and Sunday e-VIC emails and browse the list of e-VIC coupons anytime it’s convenient for you. Click here to learn more about e-VIC Coupons. The e-VIC Item of the Week is available for e-VIC members only. The discount is automatically taken at the register, no coupons to clip or carry! 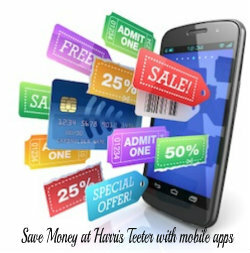 Yourbucks offers or Catalina Deals are a great way to save money at Harris Teeter. Catalina Deals are deals that require a certain dollar amount or quantity of products to be purchased. Once you have met the qualifications, a catalina will print for a certain amount off your next purchase. Usually this purchase can be made for anything in the store, however, some promotions require they be used toward a specific brand or product. You can sign up on the A&P site to receive Your Bucks Alerts. Also, visit the Coupon Network Yourbucks Site for even more deals available. There are more shown on this site however it’s still not all that are available. You can check the Catalina Deals tab above to see an up-to-date list of all known catalina offers. 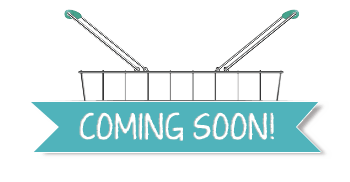 Also, keep your eye out for announcements that will print at the register for upcoming offers as well as hang tags at the store. Doubled Coupons: All coupons $.99 and under are doubled in these match ups. Do Not Double Coupons: All coupon match ups below are shown as doubled. Some coupons will state “Do Not Double” on the coupon. This is a YMMV situation. 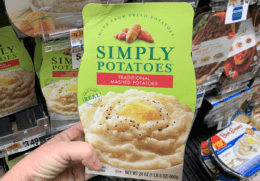 Saving Star eCoupons – Sign up your Harris Teeter VIC Card with SavingStar. Clip the coupons to your card. When you purchase that item at Stop & Shop, the amount of the coupon will be deposited into your SavingStar account in approximately 7 days.